Orange and Barclaycard have announced the launch of Quick Tap, the UK’s first contactless mobile payment service for merchants and consumers. Consumers can simply tap their mobile phone on a contactless reader to pay for purchases of £15 or less at over 50,000 nationwide locations, including Pret a Manger, EAT., Little Chef, Wembley Arena, Subway, Wilkinson and McDonald’s. 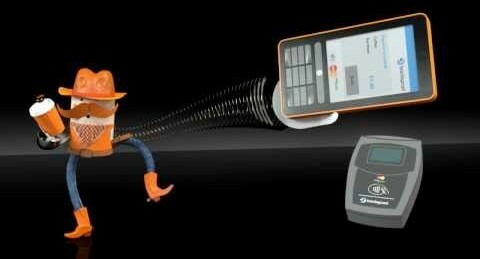 The service will be available to Orange customers who use a ‘Quick Tap’ enabled handset, such as the Samsung Tocco Quick Tap. The £59.99 handset will be available on pay as you go and pay monthly price plans, with more handsets expected to follow from a selection of leading manufacturers, says Orange. Barclaycard, Barclays debit or Orange Credit Card users can transfer funds of up to £100 onto the handset’s Quick Tap app, after which the phone is ready to make payments of £15 and under in a single transaction. The payment app, which is loaded onto the home screen of all Quick Tap compatible handsets, automatically keeps track of financial information such as transaction history and funds transfer. To support the launch, Barclaycard is providing Orange customers with £10 cash added to their account upon activation, and 10% cash back on all Quick Tap purchases made in the first three months. MasterCard will provide the payment capability for the contactless mobile transactions, and Gemalto will supply Barclays with its Trusted Service Management (TSM) operated services, enabling the secure deployment and management of mobile contactless payment.